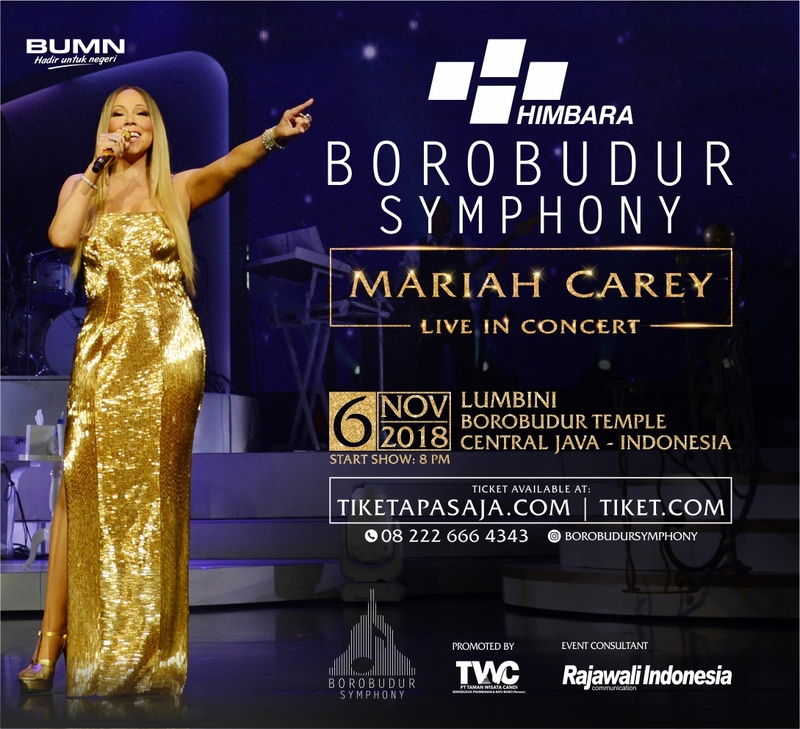 HIMBARA Borobudur Symphony 2018 will perfom with one of the world’s truly global artists, Mariah Carey. The concert is the collaboration between PT. Taman Wisata Candi as the promoter and Rajawali Indonesia Communication as the event consultant. Executive Director of PT. Taman Wisata Candi Edy Setijono said that HIMBARA Borobudur Symphony 2018 is the present from BUMN Hadir Untuk Negeri, an adopted cultural diplomacy by the government to promote the temple to the world. CEO of Rajawali Indonesia Communication Anas Syahrul Alimi added that the combination of two masterpieces in the concert aim to become new alternative tourist attraction, especially for foreigners to visit Indonesia, bringing them into contact with the great culture and beautiful surroundings. Located in Central Java, Indonesia, the audience will witness a remarkable combination of two masterpieces of cultural heritage and the world music industry. The Songbird Supreme combined with Borobudur temple will create a majestic and unforgettable performance. Mariah Carey has won 5 Grammy Awards, 21 World Music Awards, 21 American Music Awards and 32 Billboards Music Awards. Having sold over 200 million records worldwide, making the diva one of the biggest-selling artists in music history. Get the ticket at www.tiketapasaja.com, www.tiket.com, and follow our official Instagram account at @BorobudurSymphony for more information.